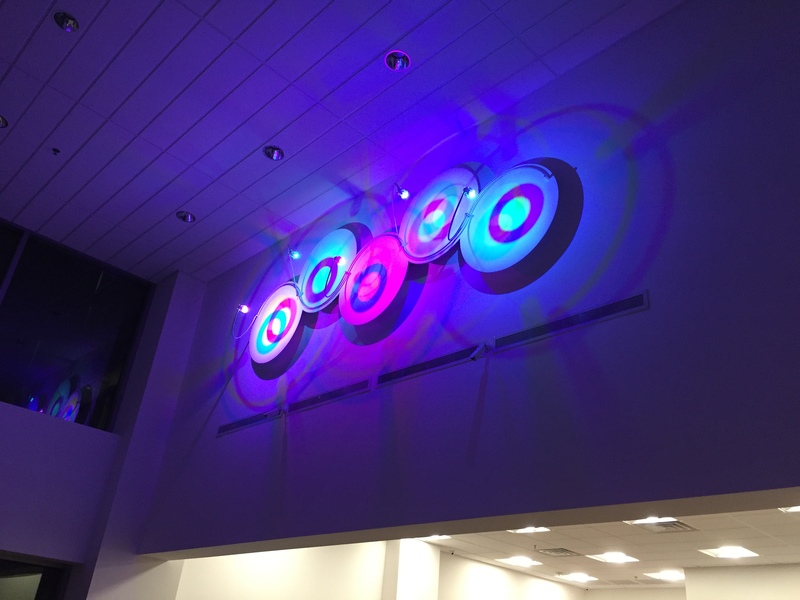 I’ve recently been presented with an opportunity to showcase my LED artwork in the iStore. 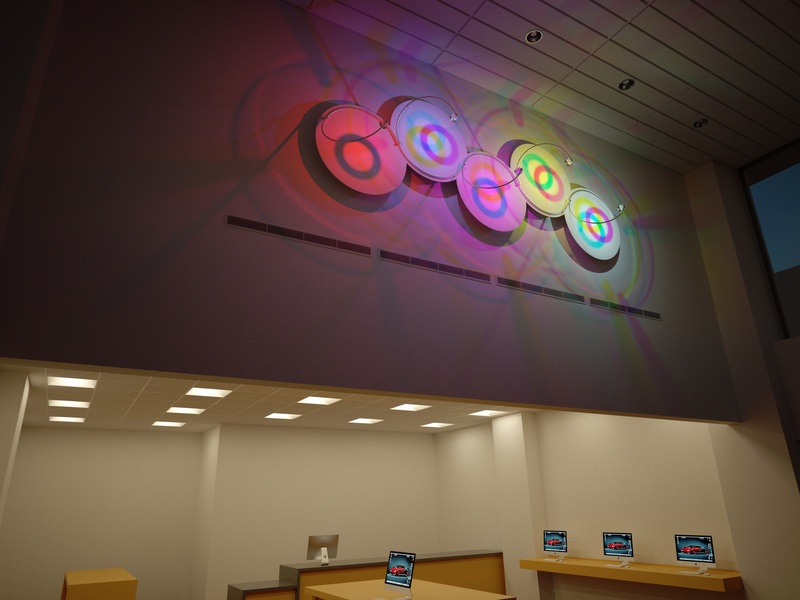 The store had been around for a while and I had contemplated for some time asking whether they’d be interested of showcasing the Apple themed LED system I had designed. 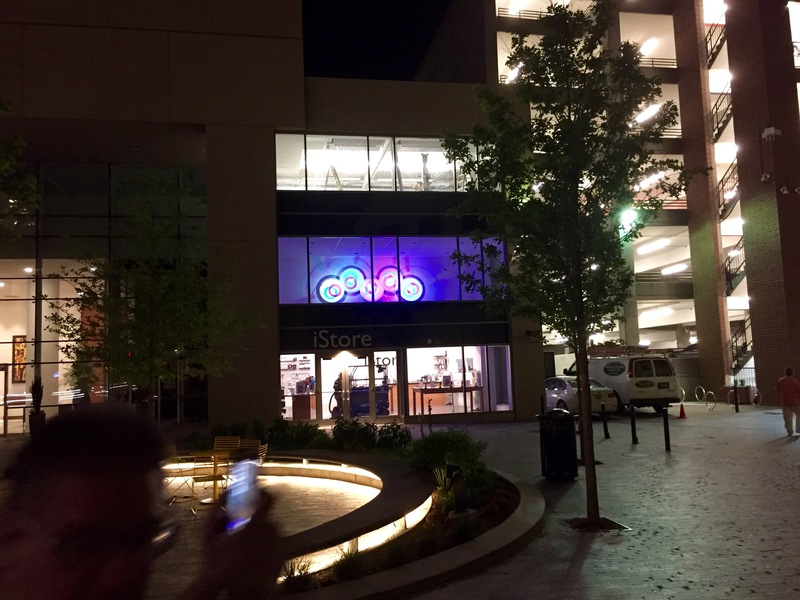 The store had previously been located in downtown Greenville but in January they moved into another location into a brand new building on on One City Plaza in the center of downtown Greenville. Then, in late January Apple started a new Ad campaign with the slogan “start something new” showcasing digital artwork created exclusively on Apple devices. That immediately clicked with me as I engineer my artwork – and there is a of lot of engineering in those lighting objects – exclusively on an iMac. However, while my artwork is also digital in many ways it’s distinctively different from the art displayed on the Apple web page. When I turn all my apple devices off, my artwork is still there! With that in mind I posted something on their Facebook site and ended up changing a number of emails with the store owner. 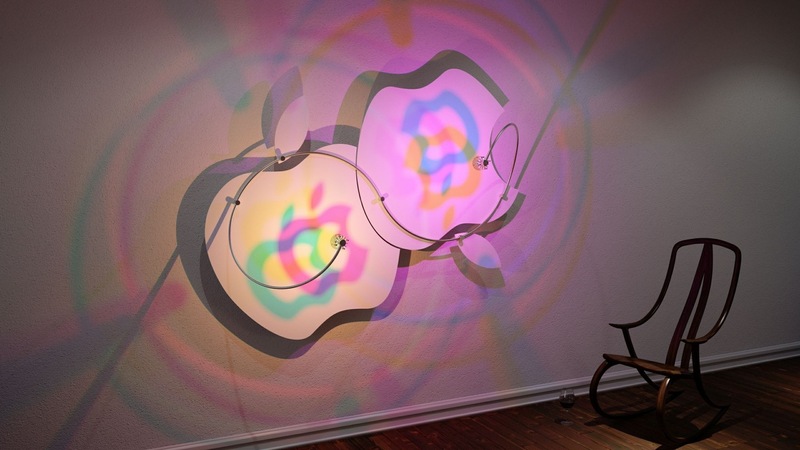 Initially the idea was to install the Apple lamp pictured earlier in this blog but that did not work out. The store owner contacted his representative at Apple and she contacted the national Apple rep. The feedback was that the Apple logo cannot be used the way I used it. One of Steve Jobs often repeated quotes that Jobs attributed to Salvadore Dali is “Good Artists copy. Great Artists steal”. Dali apparently never made that quote but that did not prevent me from shamelessly stealing the Apple logo for my purpose and make it my own. Being aware of that it was still rather disappointing that we weren’t able to put that system in the store. But I made one more attempt and asked the store owner whether he would be interested in showcasing one of my other designs. His response was that, yes, if I would be amenable to install this on the large headwall in his store. This head wall is a 30ft wide, 12 ft high, flat white painted perfect playground in a prime location. I was very amenable! These images were taken on the night of the installation. When we walked out of the store to see how it would look from the outside the store owner told me that the series of renderings I’d prepared were what sold him on the idea. Posted on June 3, 2015, in Uncategorized. Bookmark the permalink. Leave a comment.